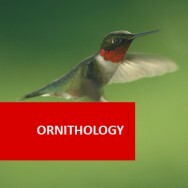 This online and experiential-based learning Bird Keeping and Bird Care course is ideal for both amateur avian enthusiasts and bird-keeping professionals. 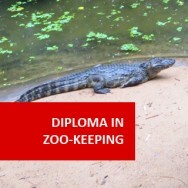 With the knowledge you gain from completing this course, you will be well equipped with all the skills required to be a confident and competent Bird Keeper. Whether you just want to learn how to look after your own feathered friend (or friends) better, or want to forge a bird-related career, it is important to know how to choose the right birds that suit your individual needs, or those of a customer and how to look after them properly. On completion of this Bird Care and Bird Keeping course, you will be able to demonstrate an ability to work with birds in the correct manner and have a sound understanding of how the bird industry works. To get employment at any of the above places of work, the ability to demonstrate how to work with birds in the correct manner and having a sound understanding of how the bird industry works, should help you stand out from other applicants. 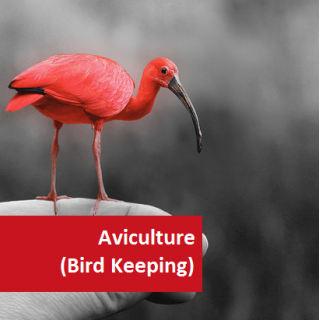 Training costs businesses time and money, so many employers will seriously consider someone who already has the necessary knowledge and skills, who can "hit the ground running", Because Aviculture has been written by experts in the field, this course should help you get in at the ground floor or if you are already there, add to your continuing professional development. Different birds will require different feeds. Rats, mice, rabbits, etc., are bred purposely or caught as feed for birds of prey. Low priced and rejected fruit purchased or grown can be used as feed for many birds. Species-specific feed for seed eating birds is readily purchased but is not cheap, and although is an adequate feed, it is not natural or will not provide full nutrition for the birds. Feed for nectar eaters and insect eaters is both costly and time consuming to obtain, and can be more difficult to get the correct nutritional balance. With all seed eating birds, food bowls should be checked frequently throughout the day and any empty husks blown gently off. These empty husks lay over the uneaten seeds, preventing the bird from accessing their food. One of the most common mistakes people make with caged birds is their diet. While these birds will appear happy enough with a seed and water diet, it is not a nutritionally balanced diet. Some seeds, such a sunflower seeds are very high in fat and often form too great a percentage of premixed bird seed. Sunflower seeds can also be highly addictive, especially to parrots, causing them to become overweight, fussy eaters. Seeds alone will not provide all the essential vitamins and minerals. Vegetables should be added daily (carrot, corn, broccoli) and even if your bird is at first uninterested, continue to add these to provide them with a more balanced diet. Beans, seeds, legumes and grains (wild rice, quinoa) should also be supplied daily. It is always best to research what the birds would naturally eat in the wild and the environment they originate from, and try and mimic this as much as possible. Fruits can be given 2-3 times a week and occasionally a little yoghurt can be offered for calcium. If you want to, try sprouting some of the seeds in your bird’s diet (plant them in a shallow tray with good soil and water regularly until small shoots appear). This can add interest and variety to the diet also. You must ensure these do not become mouldy and contain bacterial or fungal spores, if left too long. If your bird’s beak is overgrowing, purchase a piece of cuttlefish bone, or collect a piece if you live near a beach. This is not only good for overgrown beaks, but will provide a source of calcium and should be an everyday item within the aviary. Appropriate mineral block should also be provided and can also be good for preventing overgrown beaks. Provide natural perches, preferably local tree branches so your bird has something additional to chew on. If the birds do become deficient then further calcium and mineral powders can be added to their diet, do speak to a veterinarian first to determine the deficiency. For nectar, insect or meat eating birds, it is best to consult the breeder or a veterinarian to determine the best way to supply a balanced diet. An adequate supply of water must always be maintained, and water should be changed daily and water containers cleaned to remove food or droppings. A drip water feeder is a good way to supply clean water and minimise contamination. In hot weather, or if a bird is ill, they will drink much more water than normal. If your birds are outside, try to ensure the water source is sheltered from direct sunlight to avoid evaporation. 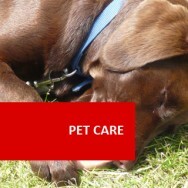 If possible, try to have at least two separate water sources in case one becomes fouled or is knocked over. Initiated from Australia, Budgerigars have become an increasingly popular pet worldwide. 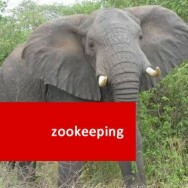 In the wild they thrive on a variety of grass seeds, fruits, berries, vegetation and insects. It is important for full health of the budgerigar in captivity to feed a balanced diet. Commercial seed diets and pelleted diets are available, but should never be fed entirely on this they will require fruit, vegetables and supplementation. Many seed mixes contain several different seeds types which do offer choice but can be high in fat and carbohydrates and Budgerigars in captivity can be prone to obesity. Seeds which are high in oils, such as hemp, sesame and niger, should only be fed in very small amounts or as an occasional treat as they may cause the budgerigar to become overweight. The mixed pellets can offer a good added nutrition but it is quite an unnatural food, and older birds may not accept this food as easily. A combination of both seed and pellet diet can be offered simultaneously, and can provide variation with their feed. Remember to always introduce any new foods gradually over a week to avoid gastrointestinal upset. A variety of fresh fruit and vegetables should be offered daily, and especially leafy green and orange vegetables. Only small amounts are required, bearing in mind the size of the budgerigar’s stomach. Offer around one or two tablespoons in amount, and offer perhaps two or three daily. Keep offering even if the bird does not seem interested in certain fruits or vegetables. They require the balance in their diet, and they may be taken small amounts even if bite marks are not visible to our eye. You should also remove any pits or seeds from the fruits as these can contain traces of cyanide, although the small seeds in berries are fine. Berries e.g. raspberries, blueberries, strawberries etc. Millet sprays can be offered but are again they are just seed, which they will receive from their commercial diet, although they can provide stimulation. Honey and seed sticks are available, however, can contain far too much unnecessary sugar and are not required in their diet. Small pieces of boiled or scrambled egg, and cooked chicken or turkey can be given occasionally for protein. Budgerigars can be prone to iodine deficiency and related problems so it is important they always have access to an iodine block, or a mineral block which contains iodine would be sufficient. Many commercial diets do not contain iodine, or a sufficient amount for a healthy balanced diet. They should have a cuttlefish available at all times as this provides them with calcium and can also keep the beak trim whilst providing some stimulation. As budgerigars shell the seed prior to eating there is no requirement for grit in their diet. Grit may not do any harm but the budgerigar may over-eat it which can cause crop impaction.